Few Air Jordans are as iconic as these 11s, originally released in 1995. 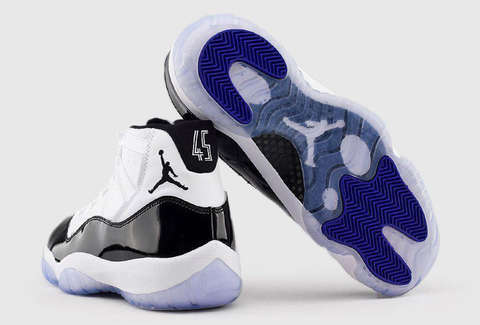 Now, 23 years later, they’ve been re-released with grape accents and a “45” on the heel. How hot are they? Well, sneakerheads buy a pair of Jordans every minute on eBay. That’s how hot. KAWS just unveiled a 21-foot-tall bronze sculpture at the Modern Art Museum of Fort Worth, but chances are we can’t afford that. (Maybe check eBay in a few years.) For those of us who want a more portable version, check out these 14-inch vinyl versions of “Clean Slate.” eBay fans of the street artist-turned-high artist buy a KAWS collectible every three seconds. Crocs have made a big post-irony comeback in recent years -- 20 of them sell every minute on eBay -- making them perfectly suited for a collab with everyone’s favorite SoundCloud rapper. 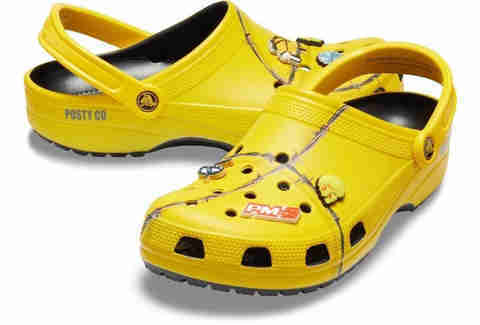 This pair is actually the second version of Post’s Crocs, and they come with six unique Jibbitz, the Croc version of bling.